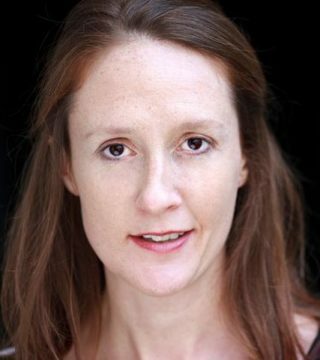 Bio: Sarah works regularly on Radio 4; she plays Joan and several other characters in the long-running comedy, ‘Clare in the Community’, soon to be recording series 11, reprising her role as Joan. Sarah has worked on ‘The Archers’, ‘Pilgrim’, 'The Riot Girls', ’In and Out of the Kitchen’, ‘Rudy’s Rare Records’ and many other plays, comedies and readings. In 2012 she won the BBC Radio Drama Norman Beaton Fellowship. Her theatre credits include Margaret Thatcher in the national tour of ‘Thatcher The Musical!’, Bette Davis in ‘Bette and Joan: The Final Curtain’ and Dido in the acclaimed production of ‘Dido, Queen of Carthage’ at Kensington Palace, as well as extensive touring and several productions at the National Theatre. TV includes: ‘Taboo’ (BBC), ‘Home Fires’ (ITV) and the BBC comedies ‘Stewart Lee’s Comedy Vehicle’ and ‘Not Going Out’. Description: Sarah's voice is warm, caring and earthy. She has a naturally smooth, neutral accent or clear and bright RP! A fantastic mimic and wonderfully versatile. Originally from the West Midlands and can comfortably slip back into her Black Country accent.